Having a website is similar to inviting someone into your home or business. From its style to more functional elements like its layout and content, what makes a good website are solid design and development that can make an exemplary first impression for guests and potential clients. Ideally, you should be conveying trustworthiness, hard work, and quality the second that visitors land on your home page, and this vital first impression will determine a great user experience from a poor one. With retention and increased engagement in mind, let’s take a look at some of the key priorities and features of forward-thinking web design. There are certain attributes that will enhance a website, and having helpful, relevant content is a vital one. Content is part of the informational human element that you’re providing your visitor, and a good website should always offer content that not only answers visitors’ questions, but exceeds their expectations. Well-written content can contribute to SEO growth, along with higher traffic and sales as we’ll discuss a little later. However, many site visitors will likely be put off by a website with poorly written content or copy that lacks the information they’re seeking. Make sure your website is useful, informative, and clearly points out how your services will help customers and meet their needs. Along with optimized content, what makes a website relevant and good is its engagement with visitors across multiple channels. You should develop ways to promote your website along with its products and services. There are several ways to go about this, among which social media and email newsletters are two of the most effective promotional outlets. 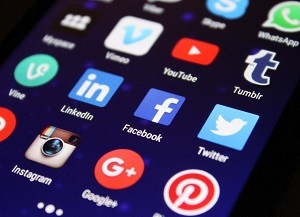 Social media is important because it allows visitors to connect and build trust with your site. With that said, consider a social media strategy that stays “on-brand” for your company. If you have a reporting tool like Google Analytics, you can access demographic information that can determine your overall strategy. Let’s say you have a steady flow of millennial customers and visitors. Consider building on that base with regular Twitter, Facebook updates, or even Tumblr, Instagram, and Pinterest if you have a business that relies heavily on aesthetic curation. However, if your viewers tend to be older or more professional in their engagement, consider publishing articles and updates on LinkedIn and Google+ as ways to connect with them. Along with these outlets, you should maintain a regular schedule for email newsletters that invite visitors to browse new products, seasonal sales, markdowns, new content, and more. In terms of site integration, include social media icons for your profiles in the footer section across all site pages, and utilize a friendly pop-up message on your home page that invites visitors to quickly input their email address. That way, you’ll be able to grow your customer base through more effective email promotions to people who are already interested in what your site has to offer. There is no point in making a good website, however, if no one will be able to find it. Search engine optimization is crucial for users in order to find relevant services and products quickly, and with all the competition out there, it is a good idea to optimize your site’s SEO on a regular basis. Research keywords and search terms, and make sure the content does not sound as if its sole purpose is to include keywords just to get a high ranking with search engines. The title tags, meta descriptions, headers, and keywords should closely match what a visitor might type into a search engine so they can reach you easily and engage with your services. However, SEO is a constantly evolving field that requires regular updates and strategies for long-term success. Perform regular SEO audits in order to track rankings, wins for your business, and opportunities for growth. A huge deterrent for many visitors will be a site that has a confusing or dysfunctional layout, as this will lead them to immediately leave your website in search of a competitor that can offer fluid design and a more user-friendly interface. Essentially, a poor layout can contribute to your bounce rate, adversely affecting your site’s SEO and rankings online. If visitors come across multiple site errors, restricted pages, or dead ends, they’ll take their business elsewhere. Additionally, if you make your products or contact pages difficult to find, you’ll likely suffer from decreased sales and referrals since visitors will inevitably get lost among cluttered category and landing pages. In our time-crunched society, convenience and ease-of-use are top priorities for most people, so make sure that all links work properly and your website is easy to navigate. These elements are what will make a good website stand out and build trust. 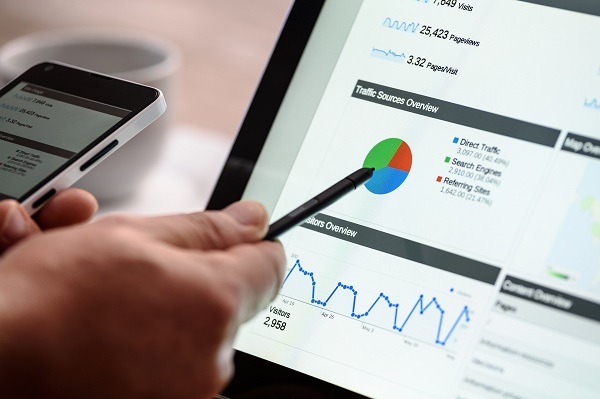 However, as we mentioned earlier, you should make your website is utilizing comprehensive reporting tools, either Google Analytics, or features provided through your website’s platform. Using a set of analytical tools allows you to see who visits your website, how long they stay on certain pages, and what information or services are attracting them. If you’re running an eCommerce site through Magento, Shopify, or BigCommerce, we recommend utilizing both your platform’s reports along with Google’s tools in order to develop nuanced sales strategies and opportunities for products or categories that could see better results. Overall, it’s a good idea to see your website from a visitor’s perspective. What should their experience be as they navigate your site’s pages and content? Can they easily engage with products or information? Is your contact information prominent and accessible? Are they hearing about your site through relevant links or search results? If you have an online business or service that you’d like to enhance, Coalition Technologies is here to help you develop and design a good, user-friendly website. What makes a customer or visitor experience great is the level of detail and attentiveness that you put in your website, so it pays to invest wisely. Contact us today at (310) 905-8646 or send us a message online and we’ll help your website with a strategy for long-term success.